Small plant with medium big leaves. 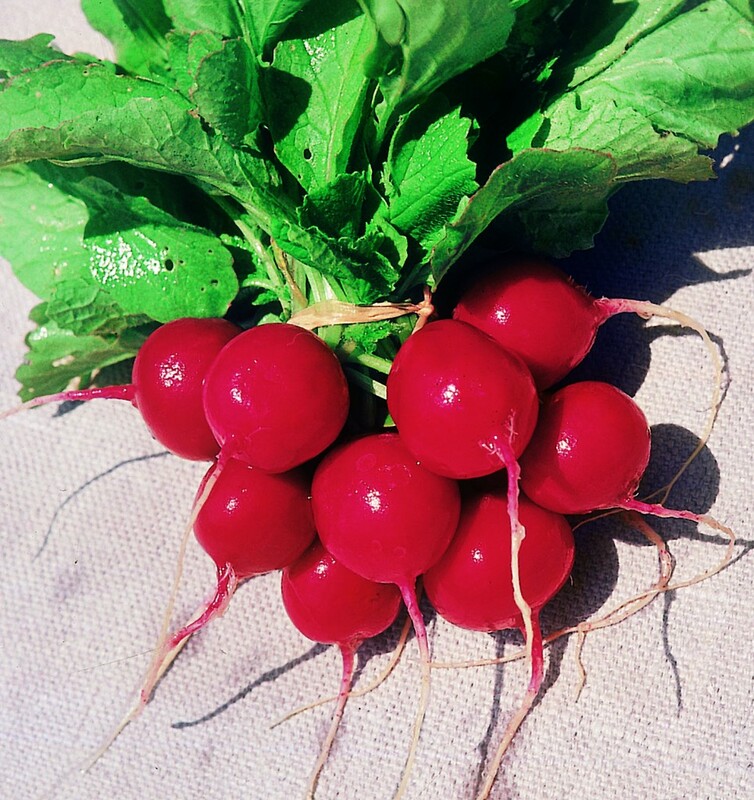 Round radish, bright red colour with thin rootlet. Crunchy flesh with excellent taste.